At the outset – I want to state that I am delivering this privilege speech on the occasion of the on-going celebration of International Earth Day which was yesterday – actively participated in by at least 60 non-government organizations, public and private institutions and offices, schools as well as concerned groups and individuals who comprise the Earth Day 2008 Bacolod and Negros Occidental Convenors. We have 10 demands for the Earth addressed both to our leaders and to ourselves. Make Recycling a Habit! Compost! Re-use! Implement Waste Reduction and Diversion Now! Stop Hunting! Don’t Buy Wildlife! No to GMO! Go Organic! Strengthen Organic Agriculture! Conserve Water! Prevent water pollution! Clean Air Now! Go for Renewable Energy! Stop Global Warming! Protect and Conserve Our Negros Forests! Plant and Grow More Trees! Respect the rights of indigenous peoples! Preserve our aquatic resources! Protect our marine sanctuaries! Stop dynamite fishing and destruction of coral reefs. After having read that and due to limited time – I shall only dwell with the NUMBER ONE appeal – Make Recycling a Habit! Compost! Re-use! Implement Waste Reduction and Diversion Now! My dear colleagues of this august body, it pains me sincerely to feel that I might be encroaching in others committees concerns but I have to make this ultimate sacrifice for the sake of bringing this urgent matter to our attention. As one of the Earth Day Convenors, I feel guilty that I publicly advocate waste diversion and reduction – but I cannot even speak up in this hall because I am afraid of the political backlash they say. But today, I want to be free from being afraid. It is the privilege of every member of this body to speak up. Although many supporters of the Earth Day continue to strive to advocate their causes – many of them find the activities and the projects without any big impact. So today I take the cudgel to speak for them. I am praying that I will not earn anybody’s ire but if that is the consequence then I am willing to sacrifice and be accused of suspicions and speculations. But what I have to say is simply based on law and conscience. I respect my duty to the Sanggunian, but I respect more my duty to the people. After this speech – I might not be able to look at some of you straight in the eye but I would endure that – rather than not look at our constituents straight in the eye for not speaking up. My conscience is deeply bothered by many questions as a local legislator. I am very sorry – I really feel accountable and I can no longer maintain my silence. I have reached a stage when I can no longer hold back and say what I have to say. I feel like an inutile and I have always hate that feeling since I was a student that I always take the cudgel to lead people and contribute what ever little I can. As a local legislator, I feel the only thing I can contribute is to set policy directions – if even this is curtailed – then my only usefulness is to speak. In the September 19, 2007 issue of Sun Star Bacolod, Engr. Efren Canlas from the Department of Public Services in response to the lowest assessment ratings result of the Local Government Performance Management Systems or LGPMS with regards to the city’s solid waste management program, was quoted to say – that the present dumpsite, which is still an “open dumpsite,” is in violation of Republic Act 9003 otherwise known as the Ecological Solid Waste Management Act. For many days now – we have been plagued by the issue regarding the “dumpsite”. I read and I hear it in the newspapers and other media. That word – “dumpsite”. Pardon me – It breaks my heart to say this – but under RA 9003 – but since 2006, dumpsites, whether opened or controlled, have already been disallowed by law. We are trained as lawyers that another term for that is “illegal”. Why do we continue to say “dumpsite” or use the word “dumpsite”? As a lawmaker, I ask myself – I am not duty-bound to respect the law? If we cannot implement the law – can we not just at least refrain from actively pursuing something that is not allowed by law? I would like to share with you the following excerpts from my research – it says The Solid Waste Management Law is quite interesting because it now reflects the shift in the mindset and treatment of garbage or solid waste. Whereas garbage was formerly treated only as garbage to be disposed of and thrown away, the mindset of the law now views solid wastes as a resource that must be re-used and recycled. According to the article, RA 9003, one of the most sensible laws in recent memory, requires the segregation of solid wastes, at source. In effect, it shifts responsibility for solid waste management from the government to the individual – where it should be. In the art and science of environmental governance, the vigorous and proper implementation of the solid waste management law cannot be overemphasized. The article further states – A government cannot dare to talk of such high-faluting terms such as ‘economic progress and development’, if it cannot properly handle such a simple matter as proper solid waste management. The article finally states – Good environmental governance is a condition sine qua non for good overall governance. There is a more fundamental reason for this however. Cleanliness of self and surrounding is a good exercise for a people to convert a simple environmental awareness (of cleanliness) into a conscious individual action. It is also known as ‘acting out a consciousness’). And the fact that members of the community all work together, individually and collectively, to clean their homes and surroundings is another excellent exercise of community cooperation and confidence building. Based on the article and the statement of Engr. 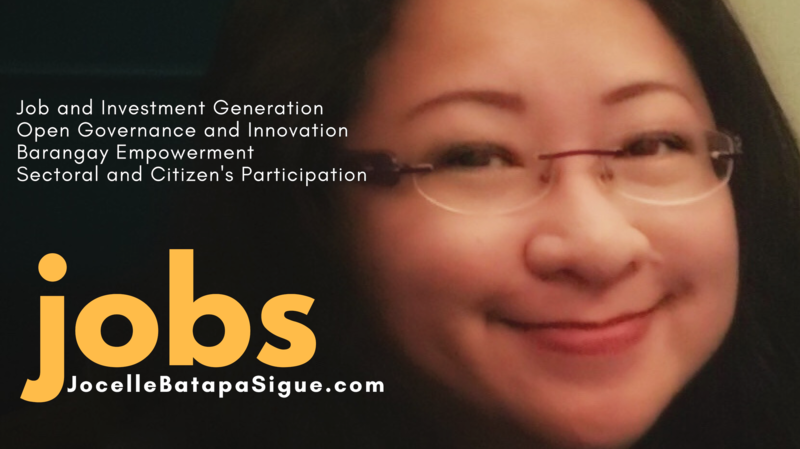 Canlas – the question that has been nagging me – as I reflected on and thought so lengthily is – whether or not as leaders and laws makers – we are able to inspire our people to adopt this mindset? Do we inspire by our example and our policies? Or do we also ask them to maintain “dumpsites” as matter of rule. Unlike a mayor or a governor or a president, we were elected into office as lawmakers. Therefore, I honestly believe that we should uphold the law of our fellow lawmakers especially in the national level. First and foremost, various concerned organizations envision a COMPREHENSIVE SOLID WASTE MANAGEMENT SYSTEM which initially entails the preparation of the Local Government Solid Waste Management Plan or LGSWMP. Pardon me for my poor memory but I cannot recall the Sanggunian having perused or approved an LGSWMP. The Background Information component which mandates that the LGU collate all necessary information such as population of each barangay, actual and projected, proposed sites for disposal and other solid waste facilities; estimated solid waste generation and projection by source and inventory of existing waste disposal and other solid waste facilities and capacities; as well as of existing equipment used for collection and the number of people involved in solid waste management. The second component is Waste Characterization which shall identify the constituent materials which comprise the solid waste generated within the jurisdiction of the LGU. The third component is Source Reduction which involves strategies in reducing the volume of solid waste generated at source, the methods that the LGU will use to determine the categories of solid wastes to be diverted from disposal at a disposal facility through re-use, recycling and composting; and new facilities and of expansion of existing facilities which will be needed to implement re-use, recycling and composting. The fourth is the recycling component. The fifth is the composting component. Both components shall show the methods by which the LGU shall, in combination with the source reduction, reduce a sufficient amount of solid waste disposed of within its jurisdiction to comply with the diversion requirements through composting. The sixth component is Collection and Transfer which takes into account the geographic subdivisions to define the coverage of the solid waste collection area in every barangay and encourages and holds them to be responsible for ensuring that a 100% collection efficiency from residential, commercial, industrial and agricultural sources, where necessary within its area of coverage, is achieved. The seventh component is waste processing which involves the methods and the facilities required to process the solid waste, including the use of intermediate treatment facilities. The eighth component is the solid waste facility component which includes a projection of the amount of disposal capacity needed to accommodate the solid waste generated. The ninth component is the education and public information component which shall describe how the LGU will educate and inform its citizens about the source reduction, recycling, and composting programs and information on waste collection services, solid waste management and related health and environmental concerns. The tenth component is the special waste which shall include existing waste handling and disposal practices for special waste or household hazardous wastes, and the identification of current and proposed programs to ensure the proper handling, re-use, and long-term disposal of special wastes. The eleventh component is funding component includes identification and description of project costs, revenues, and revenue sources the LGU will use to implement all components of the LGU solid waste management plan. The twelfth component is the Privatization of Solid Waste Management Projects which shall promote the participation of the private sector in the management of solid wastes, particularly in the generation and development of the essential technologies for solid waste management. The thirteenth component is the incentive programs, cash or other wise, which shall encourage the participation of concerned sectors. My dear colleagues, I agree – our immediate problem is to look for a place to throw our garbage. But I also appeal to the Mayor – and the City – let us please work on the twelve other components. Not only because we have to – but because we must. Section 7 of RA 9003 calls for the Establishment of Mandatory Solid Waste Diversion Program within five years after the effectivity of the law or until 2005. This means the LGU shall divert at least 25% of all solid waste from waste disposal facilities through re-use, recycling and composting activities and other resource recovery activities. The baseline for the 25% shall be derived from the waste characterization results which each LGUs are mandated to undertake. Subsequently the waste diversion goals shall be increased every three (3) years thereafter. We are not even prohibited from exceeding the 25% goal – and in fact – ZERO-WASTE is encouraged. Again, pardon me for my very poor memory – but I could not remember us having approved a waste diversion plan since I became councilor in 2004. As regards the operation of open dumpsites – the law is clear. No open dumpsites shall be established and operated by any person or entities, including the LGUs, will be allowed after three years following the effectivity of RA 9003 or in 2004. In all good faith – I believe the Sanggunian in 2004 approved the Barangay Felisa site with the view that it will not be an open but a controlled dumpsite. The law clearly states that all open dumpsites shall be converted to controlled dumpsites. These controlled dumpsites shall be allowed only up to five years or until 2006. As an alternative, sanitary landfill sites shall be developed and operated as a final disposal site for solid and, eventually, residual wastes of a municipality or city or a cluster of municipalities and/or cities. It is now 2008, let us call for a sanitary landfill in accordance with the law. I humbly – most humbly appeal that we concentrate our resources, time and efforts in complying with the law. Let us appeal for a sanitary landfill and waste reduction programs. Let us support Honorable Floor Leader in his efforts as chair of the Committee on Environment. Let us help him appeal for a LGSWMP. At the end of the day – we are not only elected officials – we are stewards of the next generation. It is said that the results of what we do to protect our environment will be felt 30 years from now – not many of us will be in the seat of power by then – but I say that unlike a politician who plans only for next three years – it takes a statesman to plan for the next thirty years. I believe we are all statesmen and women in this hall.